10 frequency types: GSM 900, GSM 1800, 3G 2100, GPS 1500, WI-Fi 2400, Bluetooth 5500 LTE 4G Mobile 850, LTE 4G 2500, 4G Mobile 800, Analog – 1200. THE LOGOS COMPANY OWN PRODUCTION! 2017 SPECIALITY! The ultrasonic voice recorders and wireless communications suppressor "UltraSonic Ring-24 GSM" is designed to protect information from unauthorized audio recordings and data transfer via cellular and mobile Internet during negotiations. Twenty-four ultrasonic radiators are located in a circle of 360 degrees in all directions, thereby achieving maximum effect on the recording devices. The suppressor is equipped with a 10-frequency blocker for wireless communication, mobile Internet and cellular networks. Radio frequency suppression prevents the transmission of information via SMS / MMS, e-mail, WhatsApp and other data sending /receiving programs. The range of radio frequency block can be up to 15 meters. The UltraSonic Ring-24 GSM suppressor with ultrasonic protection is a universal device combining two types of information protection. It is designed to prevent and block recording of conversation on digital media and to suppress data transfer via mobile and Internet communication channels. The built-in battery allows the device to be used during on-site meetings and presentations to prevent information leakage. Uniquely small thickness of the suppressor! The thickness of the «UltraSonic Ring-24 GSM» suppressor is only 2 cm - it is the thinnest suppressor in the world today! 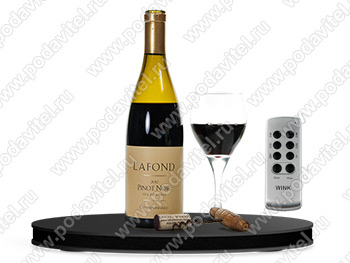 The device is perfect as the stand for a bottle of wine, a vase of flowers or a plate of fruits, while performing all suppression functions, dealing with voice recorders and any types of communication in 10 frequencies! Multidirectional ultrasound suppressors. The recorder can lie anywhere: on the table or in your pocket. To do this, the emitters in the device are installed under different angles of attack to get the greatest capture angle and allow the device to suppress the voice recorders qualitatively both on the table and in the pocket. We were eventually able to increase the angle of attack to 90 degrees vertically! Ultrasonic propagation in 360 degrees. Due to such an arrangement of ultrasonic radiators, the maximum effect of sound recording blocking is achieved. 10-frequency suppressor of wireless communication. Built-in blocker of mobile Internet and cellular communication makes it impossible to transfer information from a mobile phone, smartphone or tablet. Ultrasound impact on recording. Ultrasonic radiators directly affect the membrane of the microphone, creating vibration on it, that later the audio recording will be the noise only. Remote activation of the suppressor. 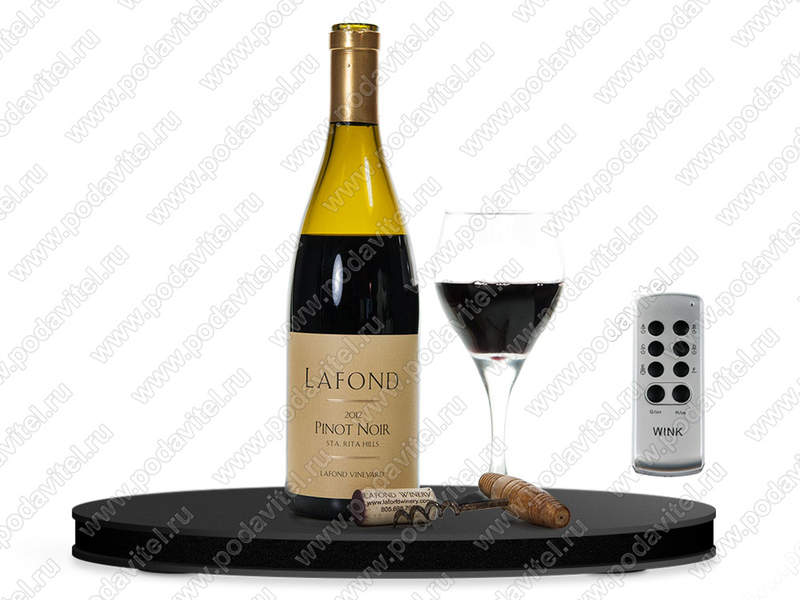 Thanks to the wireless remote control, it is possible to turn the ultrasonic mode and the wireless communication lock unnoticed. Autonomous operation. The device is equipped with a built-in battery, which allows using the suppressor for about 60 minutes without connecting to the 220 volts network, which makes the device more mobile. - LTE 4G2: 2620-2690 MHz. "UltraSonic Ring-24 GSM" suppressor - 1 pc. Remote control - 1 pc. Power supply 12 V, 5 A - 1 pc. Battery operating up to 3 hours. 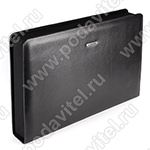 Disguised as a black leather Montblanc folder. Ultrasonic jamming 12 ultrasonic emitters. Battery operating up to 2 hours.